I’ve been reading Esther McCoy lately. 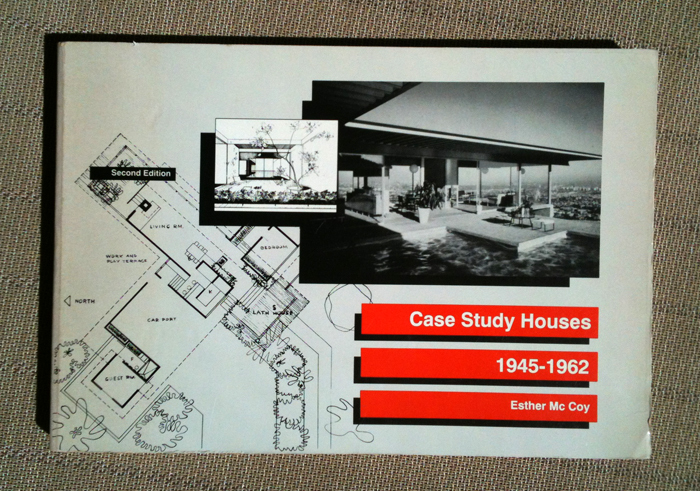 The other day I pulled an old copy of Esther McCoy’s Case Study Houses, 1945-1962 off my shelf and discovered that my second edition of 1977 has a crackling introduction in which McCoy examines the “brave-new-world tone” of her introduction to the first edition of 1962 in light of the architectural realities of the 70s. For McCoy, the decade and a half between the two editions (years that, she notes, saw the completion of Moore et al’s Sea Ranch, Larabee Barnes’ Haystack, and Venturi’s Mother’s House) changed the imagery of the American house as resolutely as the Case Study houses had in their day. I hadn’t looked at the book in some time, but East of Borneo Books had just sent me a copy of a new volume of McCoy’s collected writings, Piecing Together Los Angeles: An Esther McCoy Reader. Reading the Reader, I was struck by the sly wit and insightful critiques that characterized the essays, short stories, and memoirs it contained. 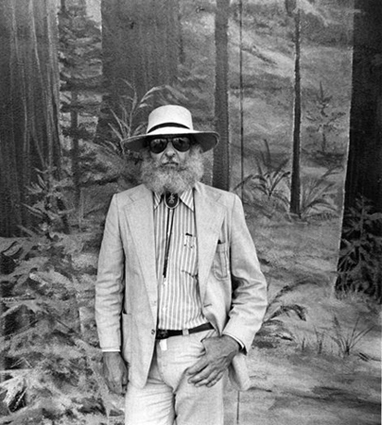 Reyner Banham noticed this about Esther McCoy’s work several decades ago, and the Reader also includes a 1984 tribute he wrote on the occasion of McCoy’s 80th birthday. 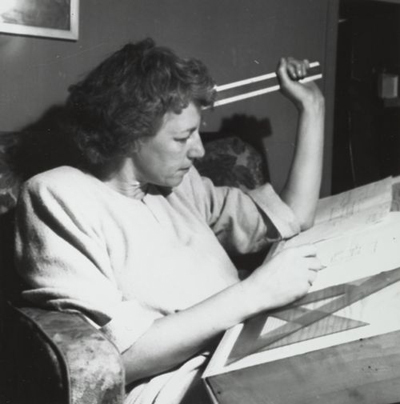 Calling her “the founding mother,” Banham credited McCoy with doing more than any other individual to raise awareness of California’s rich tradition of, and pioneering contributions to, architecture in the 20th century. Having shamefully neglected the founding mother, I’ve been going through my shelves to see what other texts I’ve overlooked. My best find to date is McCoy’s contribution to High Styles: Twentieth-Century American Design, the publication that accompanied the 1985 Whitney exhibition of the same name. 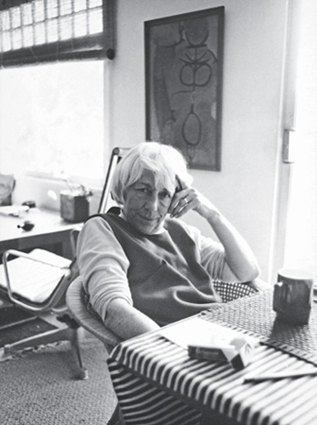 McCoy’s essay deals with architecture and design in what she calls “the Rationalist period,” 1945-1960, and while it deals with California and the Case Study houses it gives equal consideration to the buildings AND their furnishings. 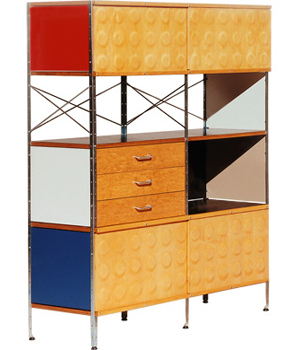 The essay also places iconic furniture of the period–like the Eames’ storage units and Saarinen’s tulip pedestal line–into their proper socio-cultural context by examining issues like mass-production, ergonomics, and housework. McCoy’s essay, like the rest of High Styles (which includes David Gebhard on traditionalism in the 1920s, Rosemarie Bletter on modernism in the 30s, Martin Filler on interiors and social change in the 60s) is a model of erudition and accessibility. 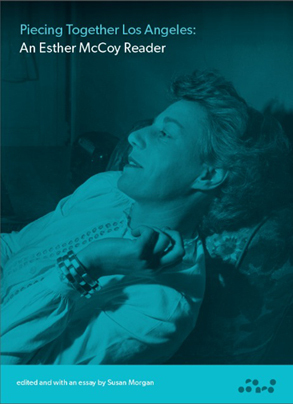 And, of course, those qualities are apparent throughout the Esther McCoy Reader, not only in essays on major figures (like Schindler and Neutra) and buildings (like the House on Kings Road and the Lovell House) but, surprisingly, in fiction. McCoy’s “The Important House,” published in The New Yorker in 1948, is a spot-on dissection of mid-century design culture, presented as a comedy of manners in which the owners of a modernist house—the important house of the title—cope with the high-style fastidiousness of their architect and his photographer as they stage the interiors for a shoot. 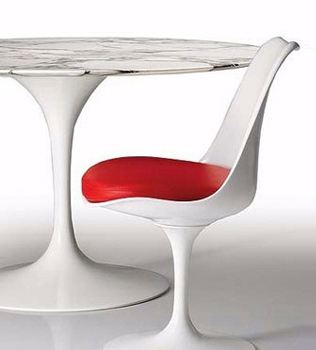 Part of what is remarkable–and remarkably funny–about the story is how fresh it is, and how it resonates with early 21st century design culture, regularly in evidence in all its mid-century splendor in the pages of Dwell. Piecing Together Los Angeles: An Esther McCoy Reader is expertly edited, with super-informative introductions, by Susan Morgan, who also co-curated the MAK Center exhibition “Sympathetic Seeing: Esther McCoy and the Heart of American Modernist Architecture and Design.” That show, the first exhibition to examine the full range of McCoy’s work as an architectural critic, historian, and preservationist, was intended, in Susan’s words, “to affirm McCoy’s unassailable role as a key figure in American modernism.” With the publication of the Reader, that affirmation becomes even more concrete because the book does not just piece together Los Angeles, it also pieces together complex narratives of modernist architecture—its icons and places, its personalities and foibles, its polemics and ambitions—in Southern California, in the United States, and in the 20th century. 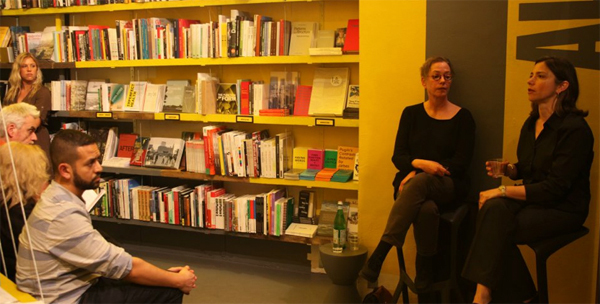 A few weeks ago Susan Morgan and I discussed the founding mother’s legacy at Van Alen Books. You can watch the full conversation here.